This is an UNOFFICIAL site for The Sentinel. All characters, places, and objects from The Sentinel belong to Pet Fly Productions, UPN, and Paramount. All stories are written with the love of the show in mind. No money is being made. All stories are property of their respective authors. 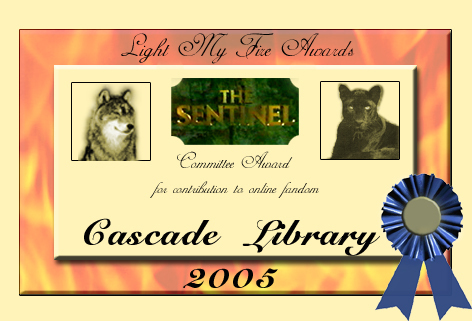 All Cascade Library graphics created by Robyn.